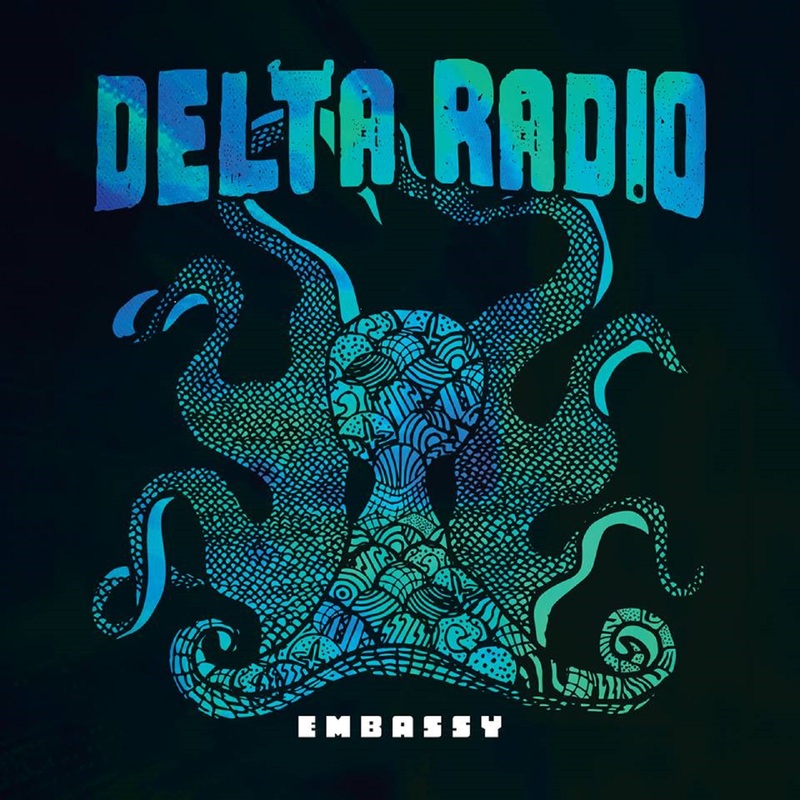 Delta Radio Band is, to quote them, a five-piece psychedelic electric blues band from Wrexham, in North Wales. They list their influences as Jimi Hendrix, Captain Beefheart, The Doors, and Muddy Waters; as well as more mainstream blues-rock like Allman Brothers, Freddie King, and The Black Keys. The psychedelic tag is mainly due to their ability to go off on musical tangents when playing live. They tour regularly across the UK and have supported some exceptional blues artists such as Aynsley Lister and Steve Nimmo. They have also headlined Wrexham’s Summer Of Love festival and performed Muddy Waters’ album Electric Mud…which proves their bravery as well as their abilities. One thing I have struggled with is getting information on them off the interweb…guys, I found your names but not who plays or has written what. Please let us know so that we can give credit where it’s due and complete the information. They are currently in the studio working on a full-length album but earlier this year released a taster in the form of an EP called Embassy. The opening track, Black Lake, certainly shows a depth and maturity for an unsigned band. I can hear (imagine this) a blend of Free, Zeppelin, Chicken Shack, Admiral Sir Cloudsley Shovel (yes, really…give them a listen, they’re very good) and Savoy Brown, with, I would also suggest, that good old Frank Zappa has a more than passing ethereal influence. The slide and harmonica over a heavy blues riff engages from the off and the understated but effective vocals add up to a decent slab of blues. Embassy is similar but more fuzzed and Zappa is there, I’m sure…the heavy riff and harmonica again dominate but there is a lighter drum section before it reverts to type. Down Below has a more standard blues structure with the vocals straight out of the Jack Bruce school of crooning. It is very Creamy! and has an infectious back line that gets you nodding. If it had a great guitar solo thrown in it would have been even better. The final track is the fascinating titled Transcendental Space Brother. This one gets some subtle slide and clever keys in a sort of Doors meets Cream with Floydian backing. It is actually rather effective as it lilts and carries you along. The guitar sounds just right as it slides along like Derek got his Dominoes in a neat line. This is a very enjoyable if short, introduction to a band with lots of potential… I genuinely look forward to the full-length album currently under construction because, on this evidence, Delta Radio Band take some solid inspirations and use them to provide a unique take on heavy blues that will deserve a wider audience. (P.S. Apologies to those younger than me and Methuselah …I started smoking Embassy Tipped many years ago and couldn’t resist the analogy).